We are pleased to announce that our journal will be publishing a series of essays by Bob Denham on Frye and some of the great thinkers whose influence on his work has not yet been fully surveyed. Bob’s first essay is “Northrop Frye and Soren Kiekegard,” which will be posted tomorrow with an introduction by Joe Adamson. To follow are “Northrop Frye and Aristotle,” “Northrop Frye and Longinus,” and “Northrop Frye and Giordano Bruno.” You can be sure that we’ll let you know when they go up. The roots of Frye’s expansive vision of culture have often been remarked. Blake and the Bible are obviously central to the development of his ideas, and much has been written about Frye’s debts to both. Much has been written as well about other significant influences on Frye: Nella Cotrupi’s book on Frye and Vico, Glen Gill’s study of Frye and twentieth‑century mythographers (Eliade, Jung, and others), Ford Russell’s account of the influence of Spengler, Frazer, and Cassirer on Frye, and Sára Tóth on Frye and Buber. No one, however, has considered the ways that Kierkegaard influenced Frye’s thought. As the impact of Kierkegaard on Frye is relatively substantial, the purpose of this essay is to examine Frye’s use of Kierkegaard. Direct influence is sometimes difficult to demonstrate, but parallels between and similar ideas held by the two can be instructive. 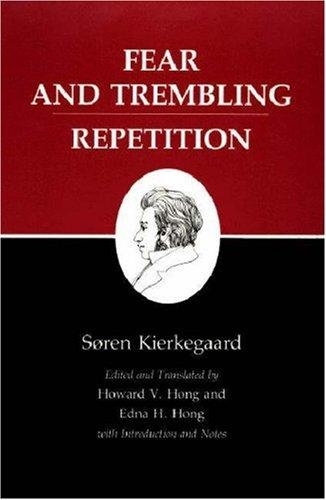 Kierkegaard helps to define, illustrate, and develop Frye’s thought. Along the way, we will also glance at Frye’s critique of certain Kierkegaardian ideas. This entry was posted in Frye and Contemporary Scholarship, Journal, News on March 21, 2011 by Michael Happy.